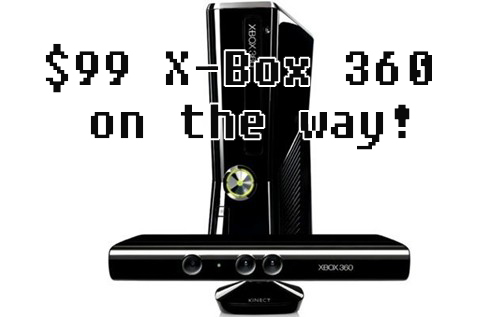 Report: $99 X-box 360 on the way! However, the bundle is reasonably priced when compared to the current X-box 360 bundles available. It comes with a Kinect (because everyone needs less input), and a 2 year XBL Gold Membership. For those of you that like to avoid contracts you can purchase an X-Box 360 with Kinect and pay yearly for your XBL Gold Membership. This will make the X-Box far more affordable for many people, including myself. But is a 7 year old console worth signing a 2 year contract for?